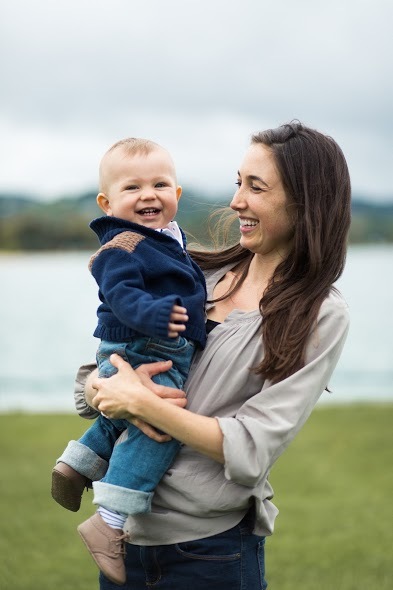 Whether it be something small (forgetting the sippy cup) or something big (getting locked out of the house while your baby is inside…), here are some tips and products that can help prevent these situations from ever happening. Unfortunately, I’ve learned a couple of these the hard way and if there’s any chance I can spare a few moms from going through the same stomach-dropping, heart-pounding panic, my “lessons learned” will not be for naught. 1. A Spare-Key Lock Box… For Both Your Home and Car: I am mortified to share that I’ve had two “locked out” emergencies within one month of the other. Once, when I put my son in his car seat after running an errand… failing to realize he had the car key in hand and had locked the car. (I still praise the Lord that it wasn’t summer and that my husband happened to be working from home that day.) And then again when my husband accidentally locked the kitchen door when he left for tennis while I was reading on the patio during naptime. The feeling of being locked out is terrible, but it’s a zillion times worse when you’re locked out and your child is locked in. I should have gotten these lock boxes after the first incident, but the second time was certainly the last straw. In addition to being combination locks, they’re also magnetic, so you can put one under your car and the other under a rock or some inconspicuous spot by your house. And by the way, paying $14 for two is a heck of a deal compared to what you’ll spend on a locksmith (not to mention the stress it will save you). Keys aren’t the only spares that come in handy. In the summer especially, I’ve found that spares of sunscreen, lip balm, hats, diapers, sippy cups, bandaids and even an extra set of clothes have come in handy… but where to keep them is always THE organizational challenge. For the clothes and diapers, I’ll keep them in a waterproof travel bag. For everything else, I stash extra supplies in an over-the-seat bag in the car. Chances are, because I’m prepared, I’ll never need them. But if I wasn’t, it would be another story. Finally, my other “emergency” situation recently was when the smoke detector in the baby’s room decided to let us know the battery was low… at midnight. And then four other alarms started to do the same. Fortunately, we had a stash of batteries on hand thanks to my husband’s due diligence. Even though it meant sneaking into my son’s room and creepily climbing a ladder near his bed with a flashlight, he miraculously slept through it (win! ), and I didn’t have to do a run to the gas station at midnight for 9-volt batteries (win win!). However, it made me realize that not having extra batteries in the future could easily become an emergency if the beeping were to start after bedtime while my husband is traveling for work… what would I do? Wake up my sleeping child and bring him with me to get batteries at midnight? No thanks. [Side note: Make sure to place electrical tape over the old batteries if you’re storing them to recycle… I recently learned batteries can cause explosions if the ends hit just right… scary, but good to know. The industrial pack of batteries we use already come with covers to prevent this]. 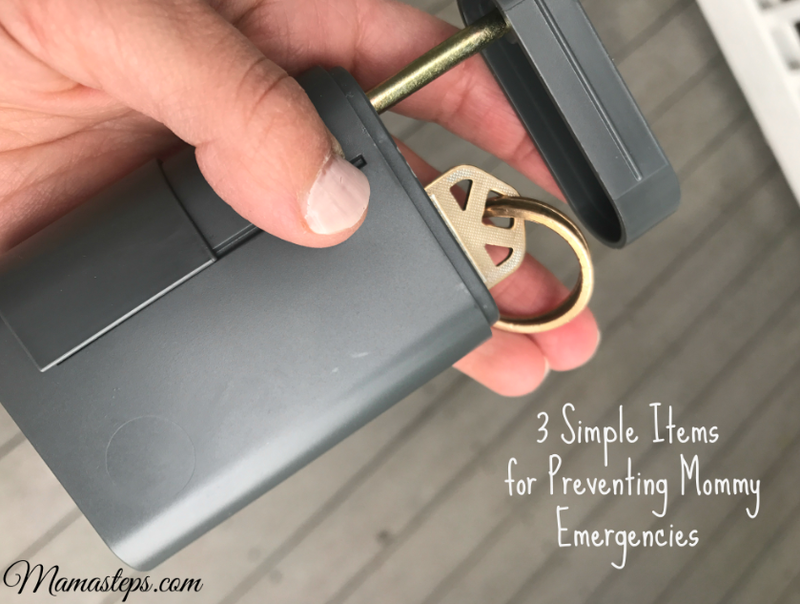 Do you have any other tips or products for preventing emergencies? Please share them with us in the comments! * This post may contain affiliate links which allow us to earn a small commission to keep the blog up and running at no additional cost to you. However, we never endorse or advertise products we ourselves don’t use, trust and love.